Catch-A-Train Photo Contest | Win Two Launch Party Tickets! 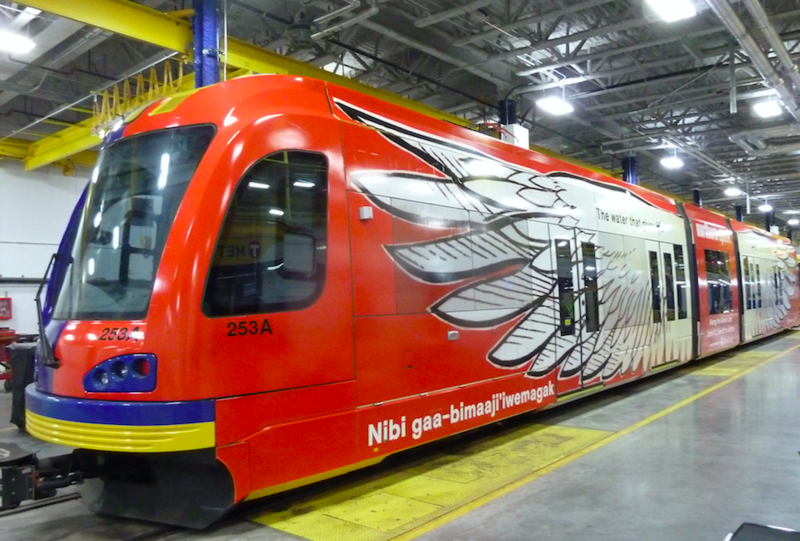 Andrea Carlson has created a stunning train wrap design entitled Water Is Life for the METRO Green Line, promoting Northern Spark 2017. The train is currently speeding along the tracks between Minneapolis and Saint Paul. We challenge you, talented and creative friends, to capture a photo of our train–and we’ll select the best one to go in our April newsletter, on our website, and shared amongst our social media accounts. The winner will receive two tickets to our highly anticipated Northern Spark Launch Party with musical guests ZuluZuluu, and delicious complimentary food and drinks! Northern Lights strives to transform our sense of what’s possible in public space and supports artists in the creation and presentation of art in the public sphere.